Go Creative Show celebrates 100 episodes with Kevin Ross and Dean Zimmerman, the editors behind the massive Netflix hit Stranger Things and we discuss all the post production techniques used to create its nostalgic look and engaging sequences. Kevin Ross and Dean Zimmerman are the editors behind the massive Netflix hit Stranger Things. Together they help create it’s nostalgic look, action scenes, and perfectly paced sequences. As any editor knows, the pacing and feeling of the show can be influenced by what happens in the edit suite and we talk all about their techniques. 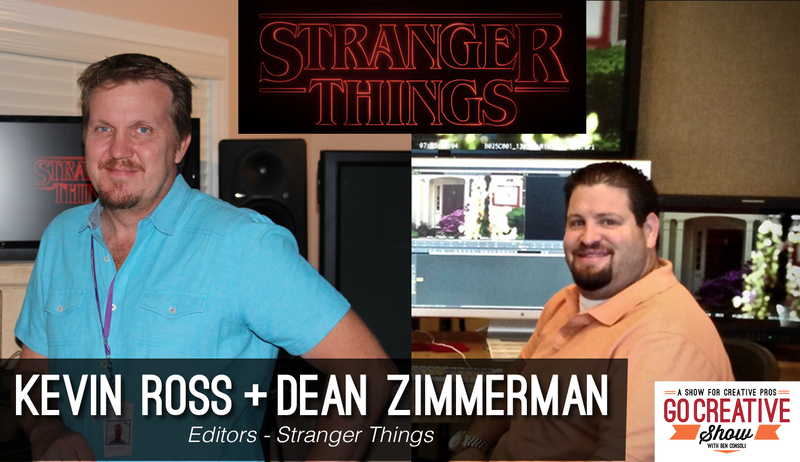 Dean comes from a film background, while Kevin brings years of tv editing experience and we discuss the differences between the two workflows, and how together they have helped to create the pop culture phenomenon Stranger Things.